Get on Disney’s Austin & Ally in 2012! Casting for Disney Channel show audience – Get free tickets to a Disney show! 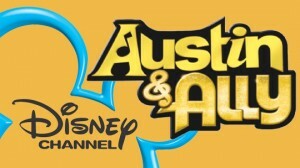 From the same people who brought you ‘Jonas L.A.’ and ‘Sonny with a Chance’ comes a new show for 2012, Disney Channel’s new comedy ‘Austin & Ally‘. ‘Austin & Ally‘ is about 2 friends, Austin a singer and musician and Ally a songwriter. The two with the help of their close friends combine their musical talents to take the music world by storm. Are you a huge Disney Fan? Would you love to get cast to be in the studio audience for a live taping of the show? Here’s your chance! 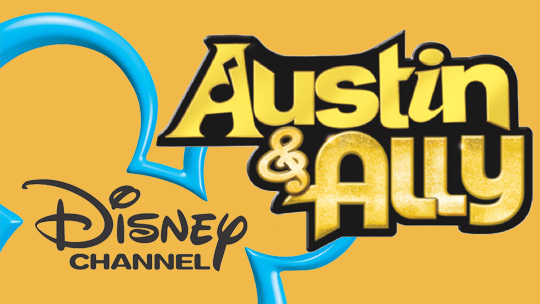 Casting call for Austin & Alley audience members – Come watch a taping of the new Disney Channel show live from the audience. Free studio tickets will be released soon and anyone who wants tickets needs to apply for them online. Disney Channel’s new comedy follows the unlikely partnership between two polar opposites – Austin, an extroverted musician/singer and Ally, a brilliant but shy songwriter, and their two best friends, Trish and Dez. Unbeknownst to Ally, Austin and Dez take one of her songs, record it, create a video and post it on the internet and Austin becomes a local sensation. Austin and Ally decide to combine their talents to create a true musical tour-de-force. Before you get tickets for Austin & Ally please note the following: Austin & Ally is shot in Hollywood California. Anyone selected to be in the audience will need to either live in the Los Angeles area or be in the Los Angeles area during the taping dates. Please note that transportation to the studio is not provided and audience members will need to find their own parking near the studio. All audience members must be at least 8 years old to attend the live show. To apply for tickets, please click here and follow their instructions. Hi my name is rose and I would want to be on Austin and ally because I love this show and I know how to dance, sing a little bit. My voice may mess up when I sing or do a high note but I can do a low note. All I wanted to do is be on Disney channel. Hi I’m Magda, 12, almost 6ft .I love love love to sing. I wanna be famous some day. I love to dance. I always love having fun and making fun. I know I’m young but I would REALLY love to work with Ross (Austin moon) Your show inspired me to do this, thanks if you read this …bye guys. I really want to be on austin and ally. It will be my big break. I hope you choose me, I have been acting since I was in 3rd grade. I love Austin and Ally but I am 8. I am 8 and I love seeing “Austin and Ally” all the time. I hope I get picked. Hi, I am Marc Vargas. I would love to be on tv. I am 11 years old and I am deaf, hard of hearing but I have a special hearing aid that I can hear far but not too far just near enough to hear things perfect. I even can try to mimic people. I know it’s weird but I’m special for what I am. Hi, my name is Maribel Garcia. I love acting with all my heart. It would be the best thing ever to be on Disney! I play flute, am a gymnast, love volleyball, black hair, brown/black eyes, tan skin, straight A student, and absolutely love acting. Please choose me 🙂 thanks for reading! I love to sing. I wanna play a role that has to do something with Austin’s career. I’m 10 yrs old about to be 11 next month my dream was to always be on Austin and Ally. Hi my name is Devante. I love to watch Austin and Ally because it relates to me. I love to sing and I can play piano and guitar. I would love to audition for the show or perform with Ross lynch. My names kaylee and I’m a really good actor. I would realy love this. I have always dreamed of being a disney actor, it would be the gratest if I got casted. Hi I’m Sam, I’m 14 years old and 15 in 6 months. I Love austin and ally. I live In England, I can act and I have dance experience. I’m hopefully moving to Canada when I’m older. I live in Harris Minnesota, but I am hoping to move to l.a. soon. My name is Faith and its my dream to be an actor! I am 14, 5’5″, blue eyes light brown hair, my birthday is June 22, 1998. I love Ross Lynch and I have never missed an episode of Austin and Ally, I have sang a solo before, I don’t know how to dance that good but I am learning the piano and the guitar! plus acting is probably the thing I’m the best at! Hi my name is Venice and I am 11 years old. My birthday is 4/29/01. I’m 5’7 I have brown hair and brownish hazel eyes. I love to sing and dance, I also love to hang out with my friends and my family. I love to act, sing, dance, and take pictures (model). My heart is set out to be famous and to have my very own star and also walk on the red carpet. I was born in N.Y.C. but I now live in Brookhaven, please get back to me if I am able to be on Disney thank you for your time. Hi my name is Tatiana Ibrahim and I’m 12 1/2. I have always wanted to be an actress. I act and sing, ( my dad is a profetionnel singer.) I have acted in my school drama class and at home. Hi! my name is Tatiana Ibrahim and I’m 12 1/2. I’m a huge fan of Austin and Ally! I have always wanted to become an actress!I love to sing and act! I want to submit my self to the audition and i will be waiting for your news! Thanks so much! Hi, my name Ashley Taylor.I am 12 yrs. old. And i love you guys!! you guys are so funny!! !I really hope you guys chose me!!!PLEASE!! !I am a good singer, and a FANTASTIC actress!! !it would be a dream come true and a blessing!!!! Hi! My name is Melissa. I am 10 years old and I’m a huge Disney Channel fan! I love to sing and act. I’ve wanted to be an actress my whole life. Being on Austin and Ally would mean everything to me. I look forward to hearing from you! Talents: Singing, Dancing, ShowJumping (HorseBack Riding), Modeling, Great Leadership Skills, Sales Person- I can sell my image as well as any product. Hi my name Anaya. I am a actress,singer,dancer and athlete. I play softball,baseball,volley ball cheerleading and track and a lot more! I like the Austin and Ally show! I am 13 years old going on 14. I look a little older because of how tall I am, I am 5’8 and African american. I have long black hair and drak brown eyes my skin tone is carmel/coco brown. I hope you find who you are looking for! Hi My Name Is Jullie I Am 14 Years Old,And I’m A Female. Hi My Name Is Jade I Am 12 Years Old,And I’m A Female. Hey Disney! my name is Jacey and I am 12 years old. I am also a huge fan of Austin & Ally. I am 5’1 and weigh 101LBS. I have light brown hair and light brown eyes. I love singing, acting, dancing, riding my horses, playing volleyball, playing piano and clarinet and swimming. I also help out at my church alot almost every week an I love it! I would love to be on Austin & Ally because I love to sing and act and I have memorized alot of the songs Ross sings on the show and think Ross and Laura are great singers. I have a sense of humor and think I would fit in with the cast. I have 9 years of experience with the piano and 3 with clarinet. Acting and music mean the word to me but family and friends mean more to me. I hope i can be a part of Austin & Ally! Hope to hear back soon! Thank You! Hello, I’m Nisa and I’m 13. I’m from San Diego, California and I Love to Act. My goal is to be an actress when i grow up. I can play various instruments. I would want to start my acting career because my dad expects be to become a doctor but i want to follow my dreams on being an actress and i want to prove him wrong. If you can email me back then that would be great! Hi. I’m Justine and I’m 13. I’m from Cebu Philipines and love to sing. I think Disney is great to start acting. My name is Genesis,I love to act and dance. I am 13 years old. I live in Vancouver Washington. I have dirty blond colored hair and I am 4’7 1/2. I am currently waiting to see if i have gotton in a peforming arts school, (Vancouver School of Arts and Acedemics)for Dance and Acting. I can play whatever role you give me, I always put in hard work plus 5 times more. When I was younger watched the Disney stars having fun on camera, and to live that would be amazing! Hello, I’m Zhea Andrea Ang from Cebu Philippines. I am 11 going to be 12 this May. I am willing to fly anywhere. I may not be that good in acting, but comedy is my thing. I have Short Black hair, I’m 5 feet tall. I would like to audition for Austin & Ally. Please? As a birthday gift? Hope you can read my message. Thank you! Hey I’m Brianna and am 14 yrs old. I really want to do this because I love to act and love to dance! Its my passion! I’m 5 foot 5 and could fit anyone from 13 to 16. I have blonde hair and green eyes. I would love this so much! Please consider me it’s been my life long dream to be on disney channel! Hi, I’m Laura! I’m 11, and I love to act, sing, and even draw! I know that I don’t have a chance, because my voice is childish. But, I still do the things I love, and don’t care what anyone else says. Not even the guy I have a crush on!!!!! Thank you for taking the time to read this. BYE!!!!! MY name is Sierra, i am 11. I am a beginner, but I love to sing. it would be the best opportunity ever to be in Austin and Ally or any disney show.